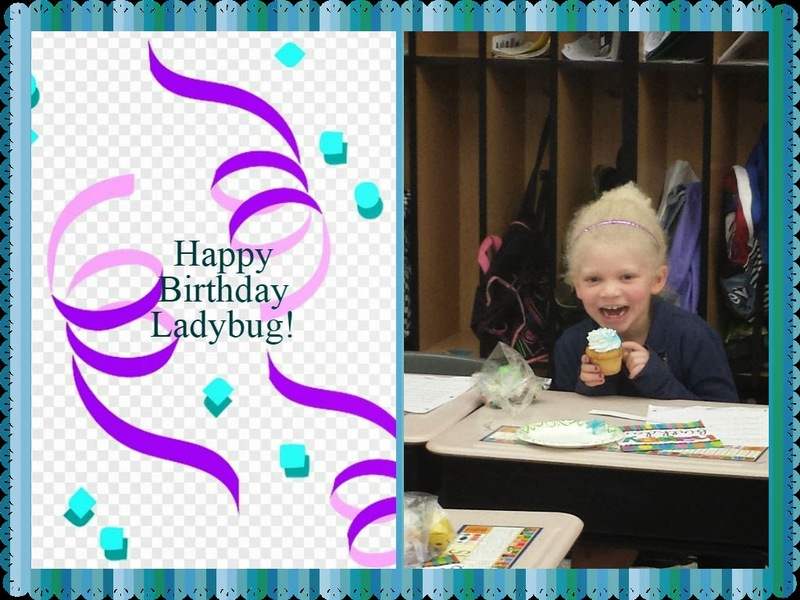 My ladybug turned 7 today. S-E-V-E-N! How is this even possible? My husband and I had a blast bringing up cupcakes to her school. Cupcakes have a magical effect on people. We passed by several kids and grownups in the halls on the way up to her classroom. Most stopped whatever conversation they were having for a minute just to say...Mmmmmh Cupcakes. We had a little party for her over the weekend. It was just family which was lovely. It was nice to see her today though in her world with her classmates around her wishing her well.